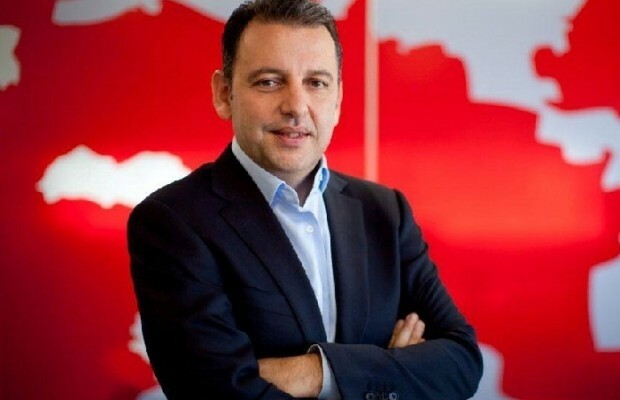 Haris Broumidis, Chief Executive of Vodafone Ghana, has predicted a growth in revenue driven by money transfer and payments using a handset and Machine-2-Machine (M2M) services to take the telecommunication industry to the next level across the country this year. According to Mr Broumidis, 2016 would open doors and avenues for further consolidation of the gains made in the telecommunications industry. “At Vodafone, we would continue to focus on new ways of providing unmatched customer experience. We see Vodafone Cash and M2M as two platforms that will become game-changers for us,” the Vodafone Ghana boss said. He added that the telecommunications industry was expected to see heightened competition this year, following the deployment of LTE and the constant striving for high revenue yields and subscriber increases by telecom companies. “These notwithstanding, prevalent issues such as regulatory interventions, the tax regime, aggressive competition and a tough economic environment still remain. Mobile money and M2M are, however, set to be the two key elements that will dictate the pace in the industry this year. Vodafone Ghana recently launched “Vodafone Cash”, its version of the famous M-Pesa platform that has transformed the economies of East Africa. The product is expected to bridge the huge gap between the banked and unbanked across the country,” Mr Broumidis said. In a related development, Vodafone is of the view that across the rest of the world, the concept of unified communications will take center stage this year. According to a statement published in its 2015/2016 Annual report, consumer and enterprise customers in most developed economies are yearning for a unified approach where fixed, mobile and TV services, will all be bundled together for access everywhere. The statement added that traditional revenue sources – mobile voice and texts – have reached maturity, hence the demand for data will shoot up in 2016, driven by rising smartphone and tablet penetration and usage, as well as improvements in mobile network capability.